The New Rules of Marketing & PR is an international bestseller with more than 375,000 copies sold in twenty–nine languages. In the latest edition of this pioneering guide to the future of marketing, you′ll get a step–by–step action plan for leveraging the power of the latest approaches to generating attention for your idea or your business. You′ll learn how get the right information to the right people at the right time―at a fraction of the cost of traditional advertising. The Internet continues to change the way people communicate and interact with each other, and if you′re struggling to keep up with what′s trending in social media, online videos, apps, blogs, or more, your product or service is bound to get lost in the ether. 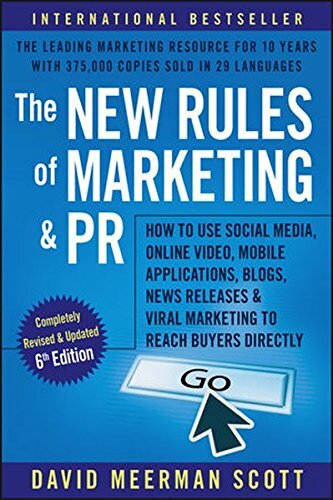 In The New Rules of Marketing & PR, you′ll get access to the tried–and–true rules that will keep you ahead of the curve when using the latest and greatest digital spaces to their fullest PR, marketing, and customer–communications potential. Keeping in mind that your audience is savvy and crunched for time, this essential guide shows you how to cut through the online clutter to ensure that your message gets seen and heard.